Some of the customers of France Ya, one of the bars in Nagasaki city, are kind of distinguished people from various fields. Saki Ryuzo, a famous nonfiction writer was one of them. There was a cocktail which he always had every time he came there. The name of the cocktail was “Bacardi”. Bacardi is a short drink made of 3parts white rum, 1part lemon juice, and a teaspoon of grenadine syrup. I was surprised when the bartender said “This cocktail was made for sales promotion”. 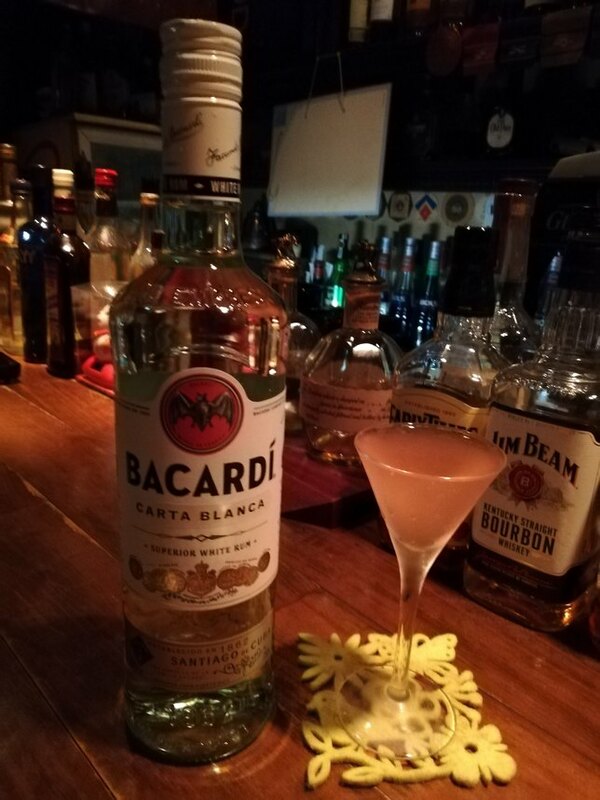 Actually, this cocktail was produced by a Cuban rum company Bacardi Limited for sales promotion of their rum so if the cocktail is made of other rum you should call it “Pink Daiquiri”. The appearance in a cocktail glass tinged with pink by grenadine syrup fascinates drinkers. I think I could use this cocktail as the first one to drink in the bar.